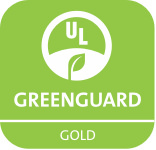 Avocado Green Mattresses, Vegan Mattresses, Mattress Toppers and Pillows are GREENGUARD Gold Certified by UL Environment. It means they’re scientifically tested for prolonged exposure in environmental chambers to meet rigorous emissions standards for chemical exposure and pollutants, such as volatile organic compounds (VOCs), formaldehyde and phthalates. Few mattresses and pillows qualify for this gold standard. We spend the majority of our time indoors, where we face significant health risks due to repeated exposure to air pollutants. Exposure to these pollutants can lead to numerous immediate and long-term health problems. According to the U.S. Environmental Protection Agency, the most effective way to reduce indoor air pollution is to reduce or eliminate the sources of harmful chemical emissions. Sources of chemical emissions may include cleaning products, furnishings and furniture, flooring, cabinetry, paint, textiles and building materials. Though federal, state or local law does not regulate product emissions, numerous government and private programs, including public health agencies, have recommended minimal exposure levels for indoor pollutants. Many factors determine if people get sick from exposure to indoor pollutants, including the type of pollutant, its concentration, the duration of exposure, the method of exposure (inhalation, ingestion or dermal absorption) and the individual sensitivities of those exposed. Building conditions, such as the amount of ventilation, age of the building, indoor temperature and humidity levels, can also have an impact. Health impacts of poor indoor air quality include headaches; eye, nose and throat irritation; allergic skin reaction; difficulty breathing; nausea and/or vomiting; confusion; loss of coordination; dizziness; fatigue and nosebleeds. Long term or chronic health impacts include damage to the heart, liver or kidneys; damage to the central nervous system; and cancer. Many chronic conditions commonly associated with indoor exposure to both VOCs and mold are allergic respiratory diseases. These diseases may permanently worsen the health of persons affected even after they have been removed from exposure. These conditions include hypersensitivity pneumonitis; allergic rhinitis (hay fever); and asthma. Children breathe in a greater volume of air than adults relative to their body size. Children’s organs and respiratory, immune and neurological systems are still developing. Children are much closer to the ground, and as a result, breathe in more of the heavier airborne chemicals than do adults. Infants and young children breathe through their mouths, more so than do adults, which increases their risk of pulmonary exposure to particulates and fibers, that would otherwise be filtered out in the nose. Children have a higher heart rate than adults, which allows substances that are absorbed into the blood to permeate tissues faster. The GREENGUARD Certification Program by UL Environment gives assurance that products designed for use in indoor spaces meet strict chemical emissions limits, which contribute to the creation of healthier interiors. Achieving GREENGUARD Certification gives credence to manufacturers’ sustainability claims, backing them with empirical scientific data from an unbiased, third-party organization. All products are tested by UL Environment in dynamic environmental chambers following appropriate test methods. Products are measured for chemical and particle emissions, as they are tested to simulate actual product use. For exposure modeling, measured emission levels are converted by calculation to air concentrations representing what a person will actually breathe. These concentrations are determined based on expected use of the product, amount of product, application process and the indoor building conditions, including building volume and fresh air exchange rate. The GREENGUARD Gold Certification (formerly known as GREENGUARD Children & Schools Certification) offers even stricter certification criteria, considers safety factors to account for sensitive individuals (such as children and the elderly), and ensures that a product is acceptable for use in environments such as schools and healthcare facilities. It is referenced by both The Collaborative for High Performance Schools (CHPS) and the Leadership in Energy and Environmental Design (LEED) Building Rating System. The exposure to individual volatile organic compounds (VOCs), as detected in the C6 – C16 mass spectrometric analysis screen, has been adjusted to allow no greater than 1/100 of the currently published ACGIH® Threshold Limit Values (TLVs) and no greater than one-half of the California’s Chronic Reference Exposure Levels (CRELs). In many cases, the 1/100 safety factor reduction of TLVs results in the most stringent requirements for an extensive range of VOCs. A total VOC or TVOC maximum allowable limit takes into account the complex mixture of all VOCs found to be emitting from a product, including those with and without TLVs or CRELs.